His future continues to be the source of speculation, with La Liga giants Barcelona and Real Madrid reportedly holding an interest. But Buffon has suggested the man 21 years his junior could do worse than looking towards Serie A’s dominant force for his next career move. “I do not live his situation but one thing is certain, if he comes to Juventus he’s never wrong,” Buffon told Gazzetta dello Sport. Leo lives on challenges, he needed to reignite the fire with a strong and unpopular choice. I respect him but I’m sorry and think he’s even very sorry now. 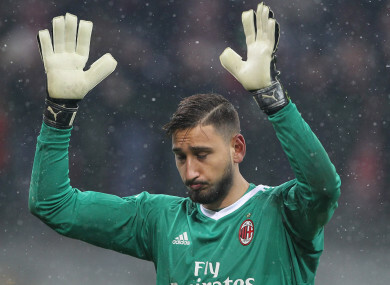 Email “Buffon: Donnarumma would be right to ditch AC Milan for Juventus”. Feedback on “Buffon: Donnarumma would be right to ditch AC Milan for Juventus”.